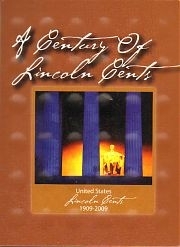 Special Folder:Holds 100 years of Lincoln Penny's starting at 1909-2009 (One coin per year + 4 OPENINGS FOR 2009) with a few extra spaces. Folds out flat, 3 panels. 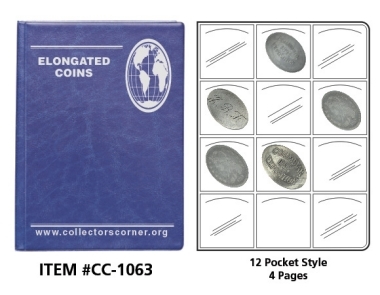 CollectorsCorner Special Folder: Custom made for us by CWS, this Elongated Coin Folder has (4) 12 pocket pages (38mm openings) no other holders required. 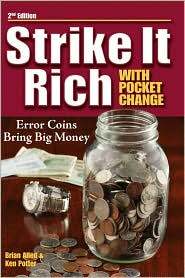 Coins can not be touched as they fit in pockets and can be viewed from both sides of each page. Measures 5 1/2"x7 1/2" closed. This is a custom design & you will not find this folder anywhere else but here. 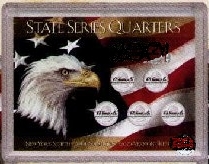 Harris 50 State Quarter Map - Spaces for all 50 State Quarters in a beautiful 16"x26" map that can be displayed on your wall by two eye-loops in top corrners, or folded down to 13"x16" and stored on a book shelf. 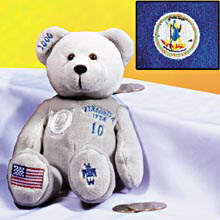 THIS ITEM WILL NO LONGER BE MANUFACTURED. Discontinued Items: NCG/ANACS Coin World Slab type holders. All sizes are being sold out. 38 sizes still available. E-MAIL US FOR THE SIZES YOU WANT AND HAVE THEM SET ASIDE FOR YOU.